Back in November, I caught the Brooklyn DJ and musician Francis Harris opening for DJ Sprinkles at Smart Bar. I knew nothing of Harris's music and found his inclusion on the bill odd. Most of what he played felt like clubby, monotonous tech-house with no relationship to Sprinkles's deeply gorgeous, intricately textured house music. But maybe I just caught Harris on an off night—I've been playing his most recent album, Minutes of Sleep (Scissor & Thread), on most mornings and sometimes in the wee hours. Like Sprinkles's Midtown 120 Blues, the album is undeniably house music but only tangentially related to dance music. 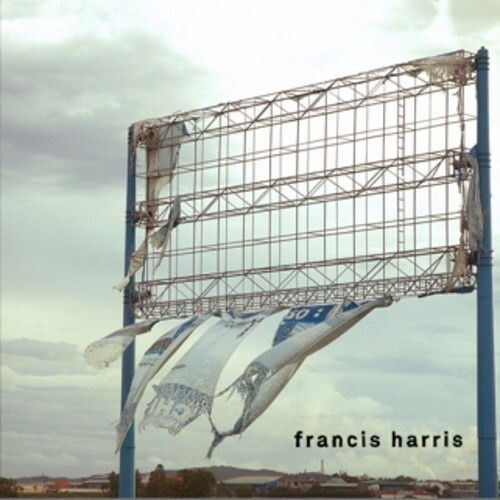 Also like Midtown 120 Blues, Minutes of Sleep is a meditation on death—for the former, it's the death of the club scene in New York City in the early 90s; for the latter, it's the passing of Harris's mother. At times I hear deeper connections to jazz, ambient, or classical music than I do house. It's one of the more distinct and emotionally complex albums I've heard so far this year. Listen to "You Can Always Sleep," which exemplifies many of the album's strengths; but be sure to listen to it as a part of the whole album, which should really be heard all at once.